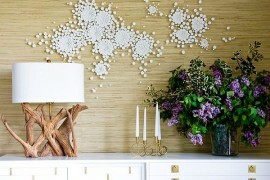 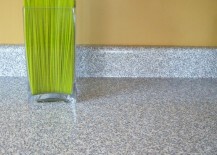 By the time you get to the end of today’s post you will have learned that contact paper is your friend! 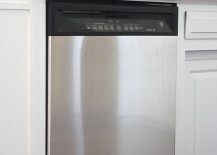 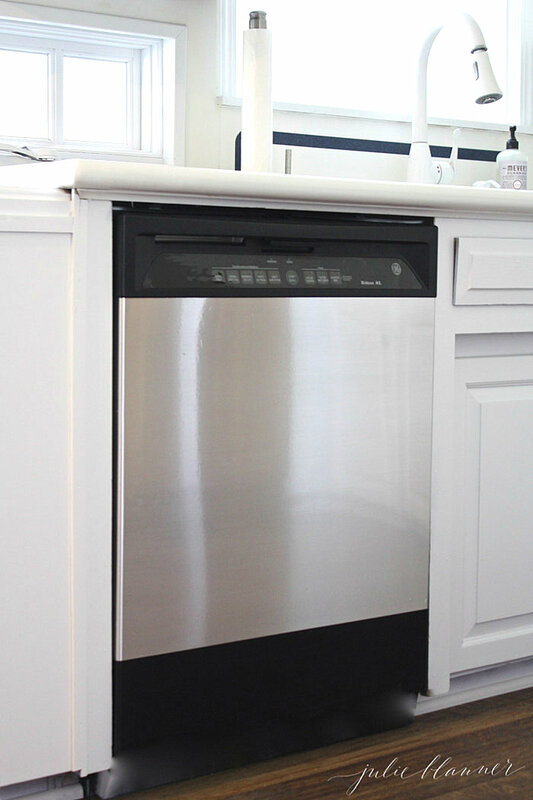 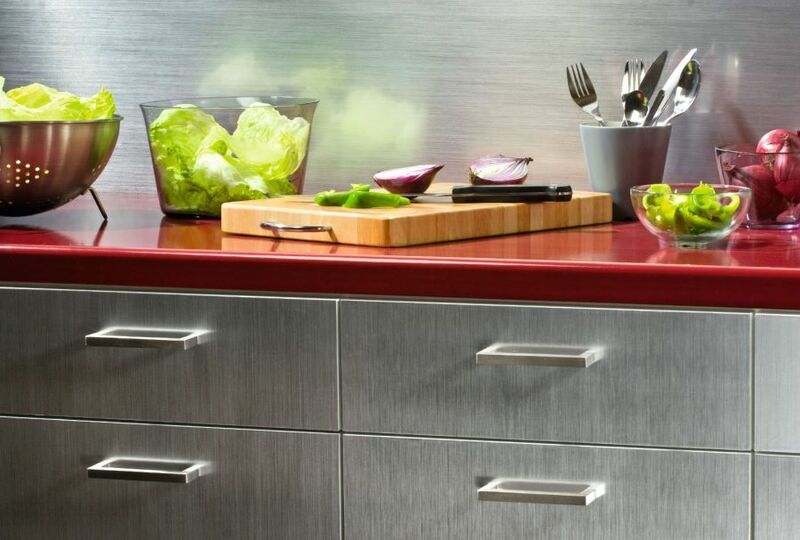 This metallic stainless steel adhesive vinyl film from DC Fix (via Amazon) is the perfect backsplash cover-up. 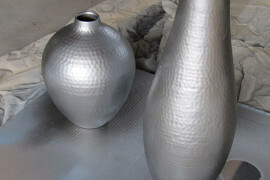 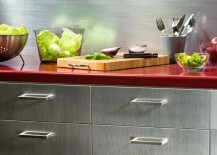 In fact, any stainless steel contact paper should do the trick! 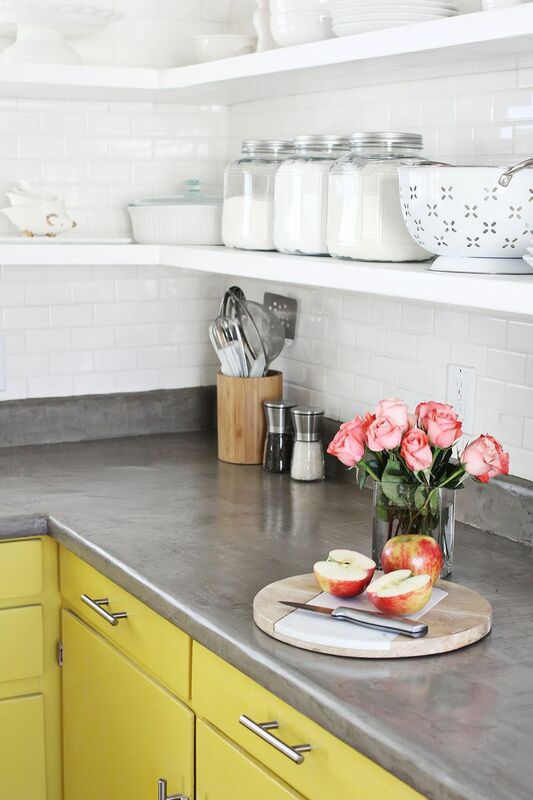 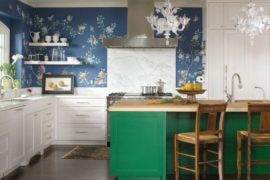 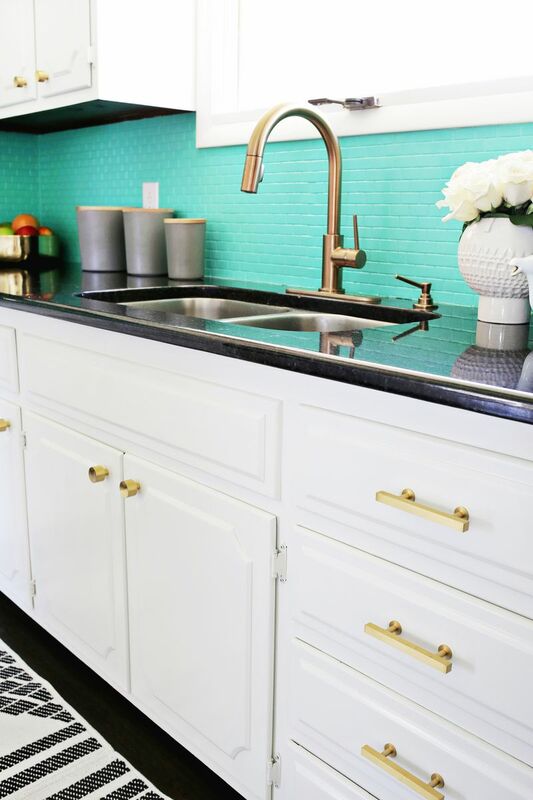 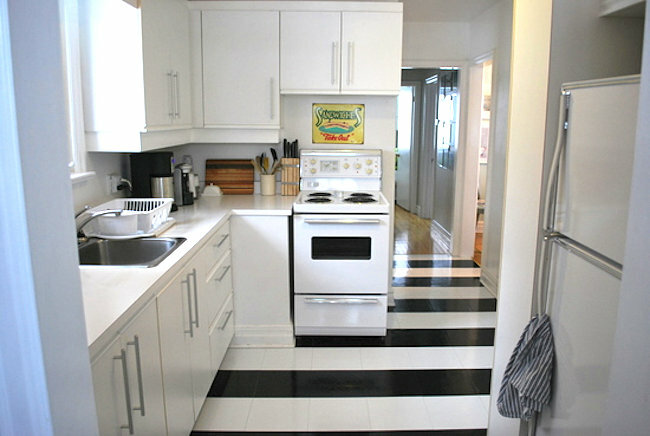 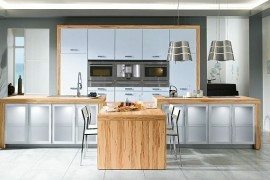 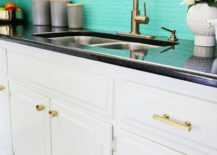 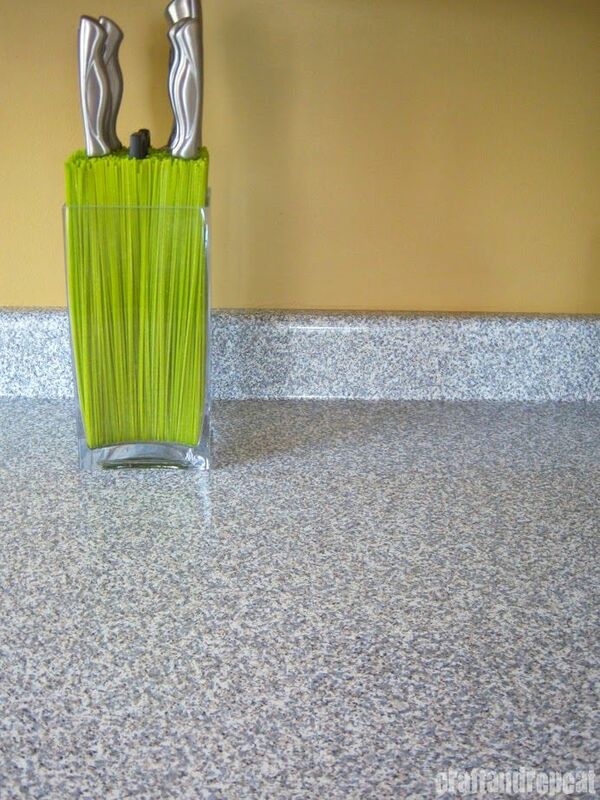 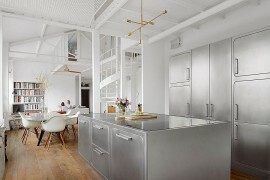 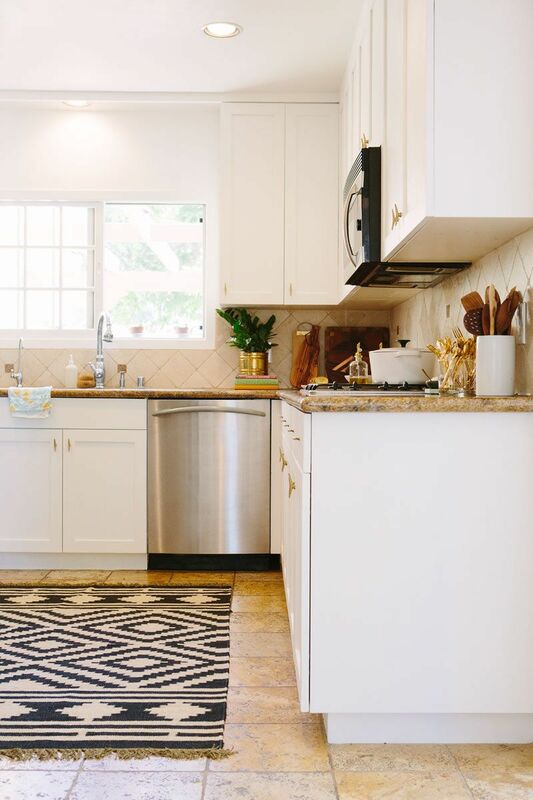 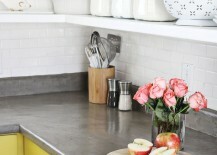 While you may have seen plenty of counter and cabinet makeovers featured online, perhaps you’ve never considered the benefit of a temporary floor! 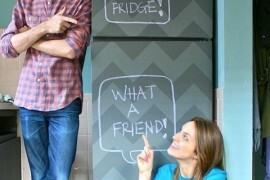 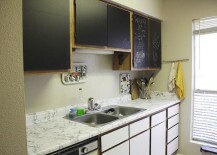 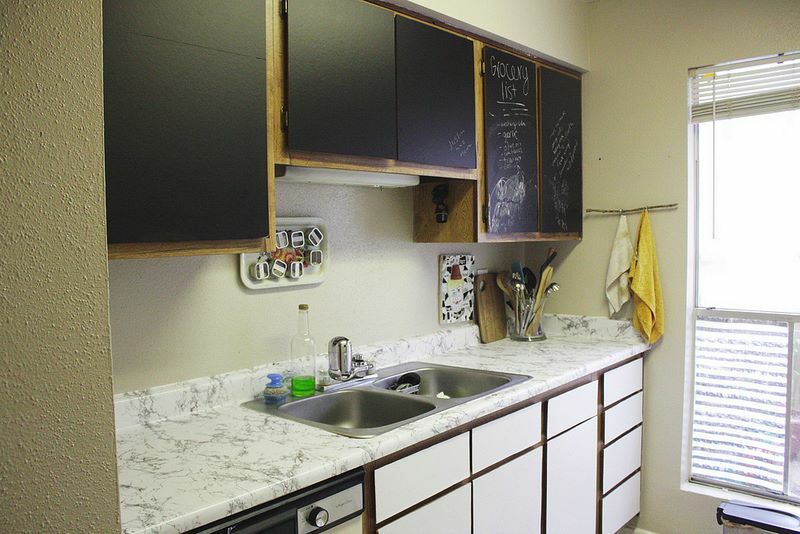 Yes, this solution is great for renters or even homeowners on a budget. 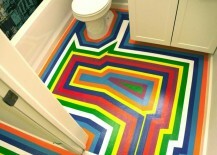 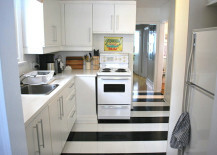 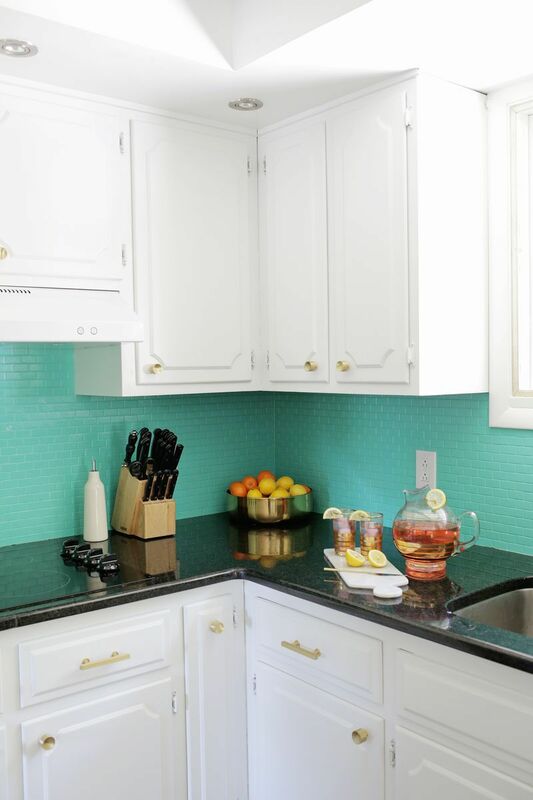 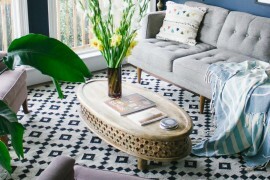 Isn’t this vinyl tape floor makeover from Jezebel a work of art?! 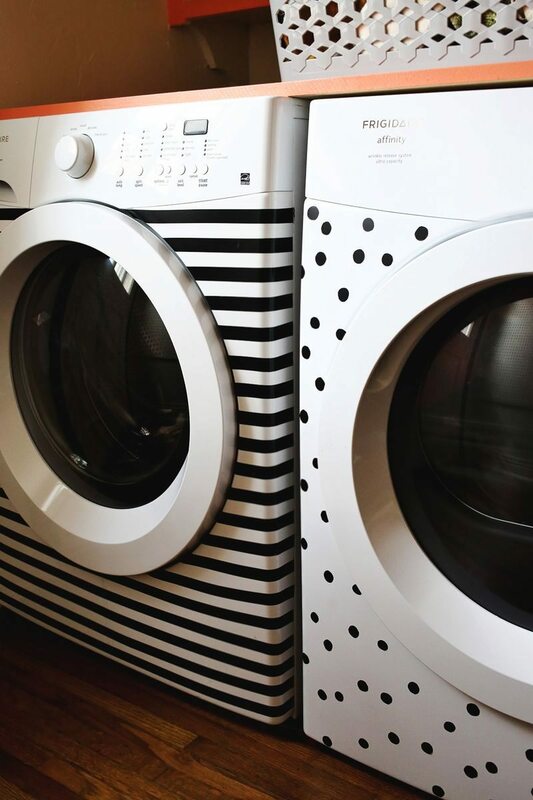 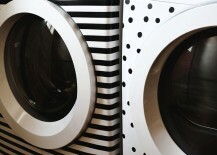 And once more we feature another knockout project from A Beautiful Mess, this time a washer & dryer makeover that showcases the bold power of electrical tape. 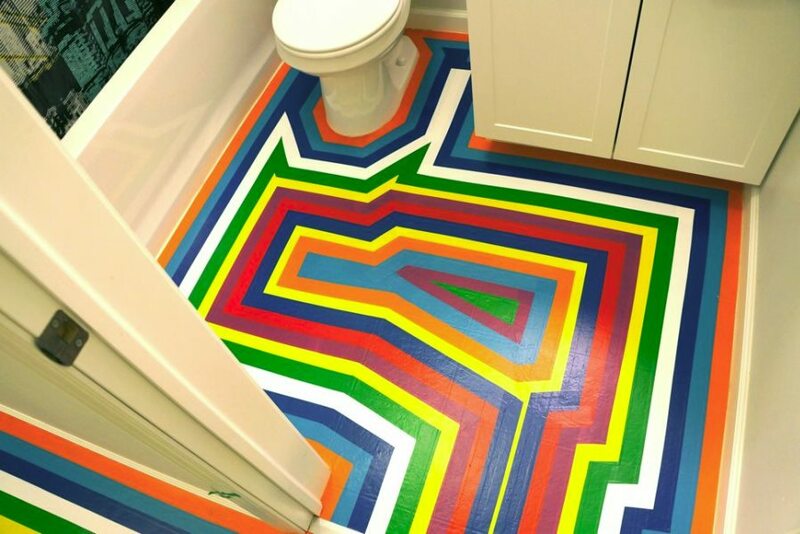 Easy and temporary, but we’re thinking you just might want to leave this design on display for good!